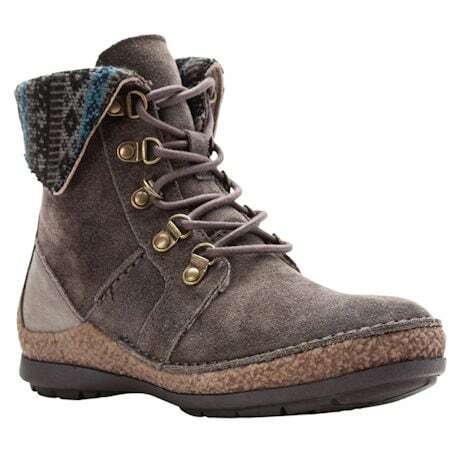 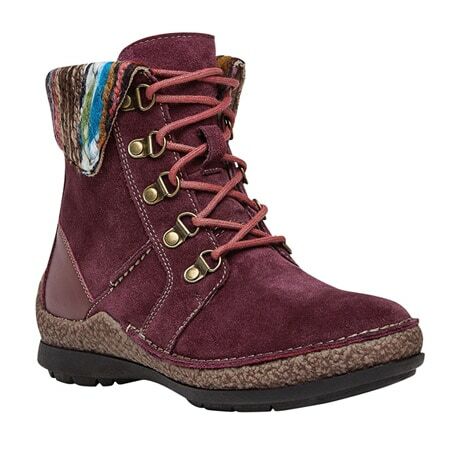 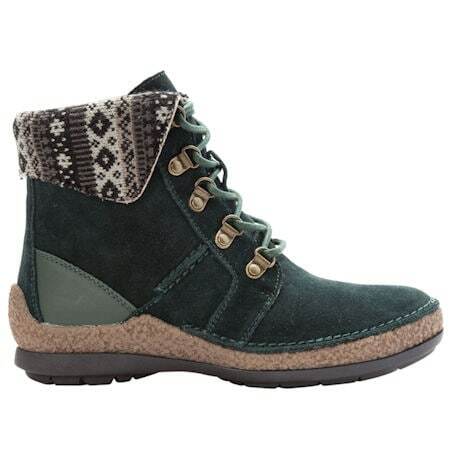 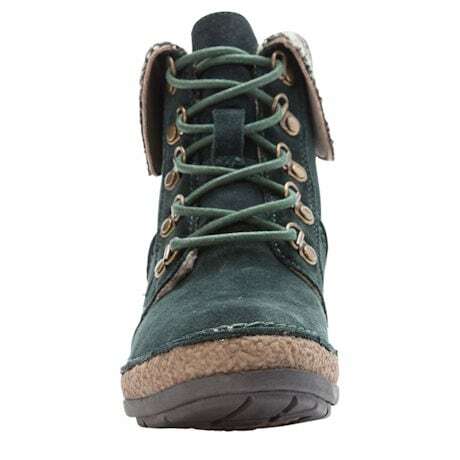 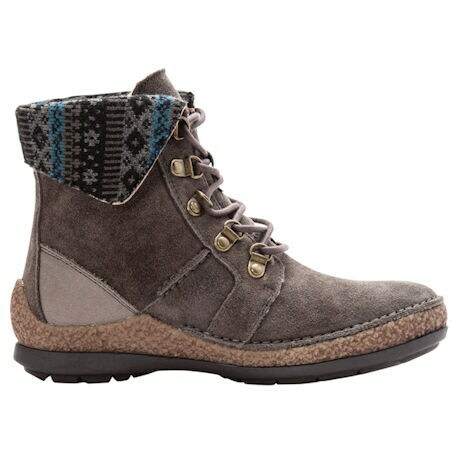 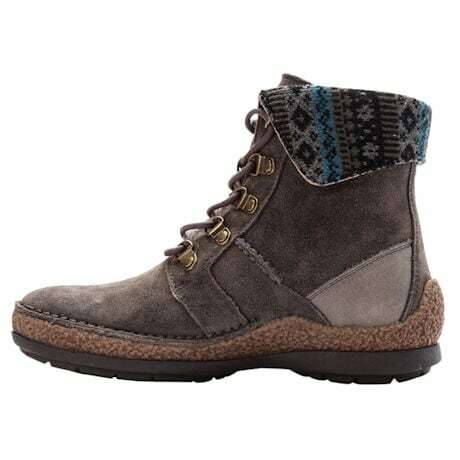 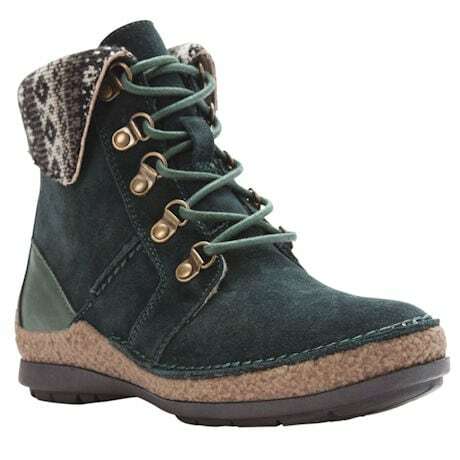 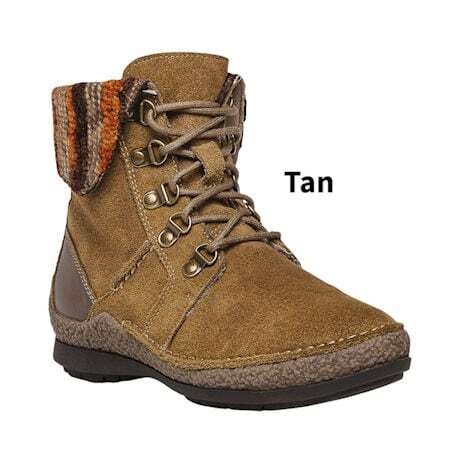 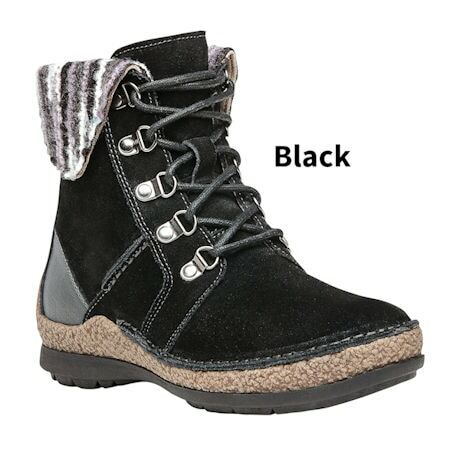 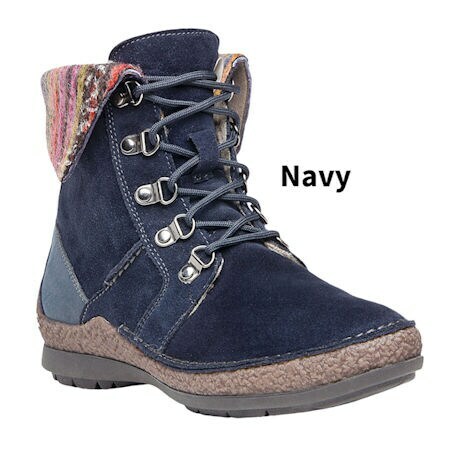 Keep comfortable this winter with this rugged suede boot. 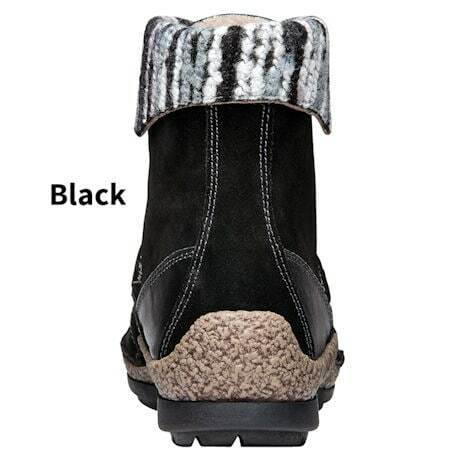 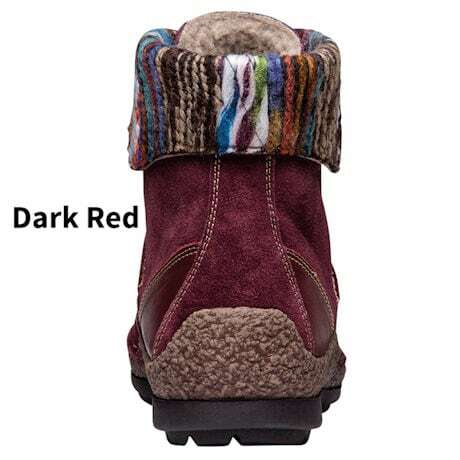 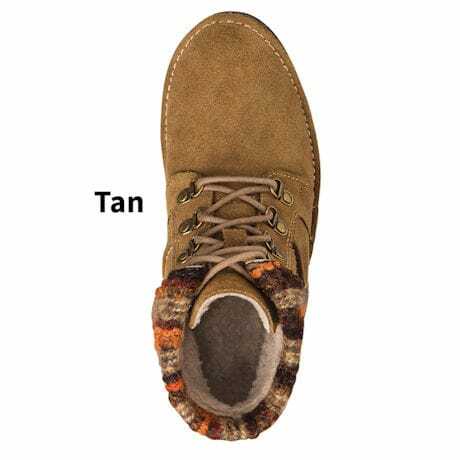 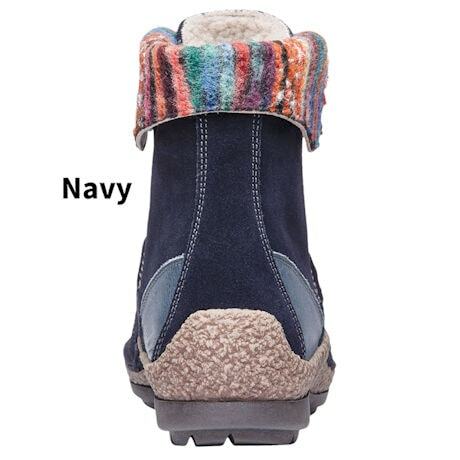 The Scotchgard®-treated suede upper with multi-colored yarn and soft pile lining adds warmth and comfort. 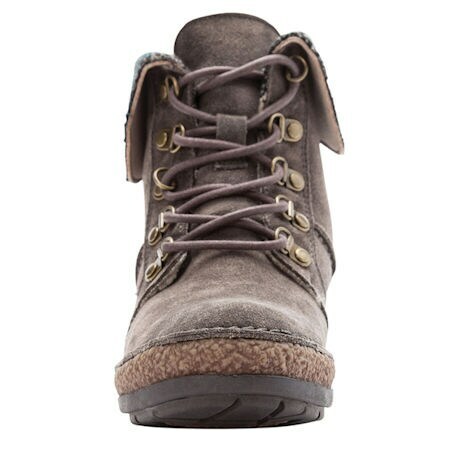 Duraable D-ring speed lacing for easy on and off. 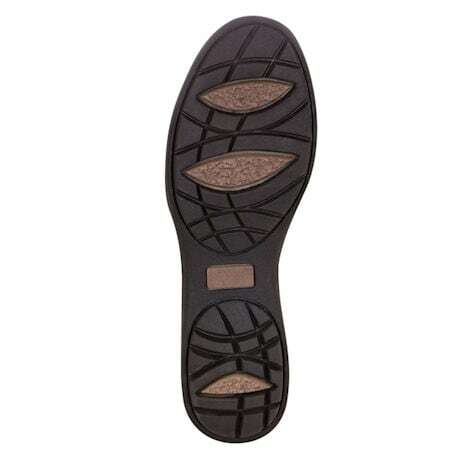 Feel confident and stable with the ground-gripping, shock-absorbing TPR outsole.